Blaster Master Zero is a real gem that could adequately be described as the gift that keeps on giving. Since launch, Inti Creates has given the game an impressive amount of support, adding in several extra playable characters and new game modes to keep players interested in the retro shooter while enticing new ones with a broader selection of content. It seems that the support for the game still hasn’t seen its end yet, as Inti Creates has just detailed what to expect out of the next major update. Version 1.5 will add in Blaster Battle Mode, a 1v1 multiplayer mode that allows players to pick from any of the available characters and duke it out in an arena. Various different stage types and rules can be applied, and even each character’s Sophia tank will have special abilities. Best of all, this update will be free, packing in even more content to the base game mode. What do you think? Will you be playing this much? Do you think Inti Creates will go for a sequel? Share your thoughts in the comments below. Gives me a good reason to fire up that title again. It's always nice to see a game continue to be supported many months after release. I really enjoyed playing it during the early days of the Switch. OMG, this looks super fun! Can't wait to try it out! I can't believe we're still getting free content. Inti Creates are the polar opposite of greedy, the game was already awesome and selling well without all this. Come on why dont they do a physical of this already. This game keeps on giving! I know this game only supports two players for co-op, but this mode is just screaming for four-player support, in my opinion. @YANDMAN because plastic is destroying this planet? It was released in March! @Kopchony Thanks mate, but I was talking about the battle mode update, which is exclusive to the Switch. Don't really care about competitive MP, but it's great this game keeps on giving. I enjoy the different characters and everything. 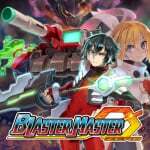 I still cannot believe I'm seeing Blaster Master again after all this time. I love this game! I'm sure this new mode will be exciting to play. I wonder if all the characters are available without the dlc? Doesn't matter though as I've been there since day one and I got them all for free. @Pazuzu666 Everheard of recycling? It's all the rage these days. While the top-down battle looks rather unintuitive, the Sophia III battle mode looks like a bundle of fun ! I almost wish they went the extra mile and made that a 4 player brawl. Looking forward to this update ! @YANDMAN This game is worthy of a physical as far as quality goes, but the truth is that unless they included the DLC characters somehow it just wouldn't be worth it from a ease of access standpoint. If they released a physical version that was just the base game then the DLC wouldn't be able to move between two systems easily. That alone defeats the purpose of a physical version. Besides the game is tiny file size wise it wouldn't even come close to filling a cartridge. It's cheap enough it's worth the digital buy. thats the issue isnt it! you want the complete and standalone version of a game on physical but does the game ever reach final version, and when, and how long would a gamer wait? @WillTheLion yeah, only the reality is a very small percentage actually is fit for recycling. What, you think everything you put in your recycling bin actually finds its way into the system? I played the demo of this game, and wasn’t a fan. I’m glad other people like it though. This mode looks a lot more fun than I imagined, but I doubt I'll actually use it at all. Still waiting on a sale. I know it's cheap as it is now but if I've waited this long and all the other games I'm buying might as well wait since I don't have the time to play anyways. Thank God I picked up this game when it first came out, also one of the first few games I got for the Switch too. Free DLC, free update contents, free modes. What else can I ask for?! Really amazing how Into Creates supports the game. Wow lol, Inti-Creates is giving Yacht Club a run for their money in the giving department. I was on the fence in the beginning, but I'm glad I went on ahead and got the game when I did. Although I have yet to run it with the EX characters, at least I know I have those at my fingertips when I'm ready (and able) to put some time in. Thanks, IC! I love Inti Creates. Looking forward to Bloodstained and Dragon Marked For Death and I've got the Striker Pack physical cart in the mail. I'd love it if Capcom would let them make another Mega Man game. Mega Man 11 and X9. I know I'm greedy. I plan on getting this but have recently discovered Blaster Master Overdrive on WiiWare so I want to play that first. This looks awesome though, especially with Shantae and Shovel Knight. I really, really hope so! If it wasn’t for Odyssey this game and Mighty Gunvolt Burst would be my personal Games of the Year. I’d buy a sequel in a heartbeat. BMZ has been one of the best games Ive played this year. The rush of nostalgia, plus the top notch support this game has received has been incredible. I would absolutely be there day one should Inti CREATES a sequel. Nice, I wonder did they bother to update the 3DS and Switch European versions, since they completely disregarded the European fans of Azure Striker Gunvolt and left us without 1.3 and 1.4. updates that change the game a lot. Blaster Master Zero's demo was nice, but I will not support anymore such devs that leave out a continent of their fans. Still disappointed that I actually went and bought ASG 1 and 2 back in the day. Inti-Creates really made a mess of themselves. Just hope it updates before I bring my Switch to my grandmother’s around noon EST. Happy Thanksgiving! @WillTheLion well if it were to happen they would obviously include all the dlc as is always the case. @Pazuzu666 Aint nobody throwing video game cases in the sea. @YANDMAN maybe, but this is where they end up. @Pazuzu666 I naturally assumed that was a sarcastic off the cuff comment with humour intended. You dont actually believe that pollution as affecting the release of physical games do you?